Holiness is happiness. All other pursuits of happiness will fail you and prove to be very cheap substitutes for the real thing. We are prone to think holiness is more of a chore than a delight, but this only shows how extremely needy we are of grace and a continually renewed mind. The picture that Scripture paints of holiness is that of beauty. Worship the LORD in the splendor of holiness; tremble before him, all the earth! There is one prescription in the Bible for true and abiding happiness. 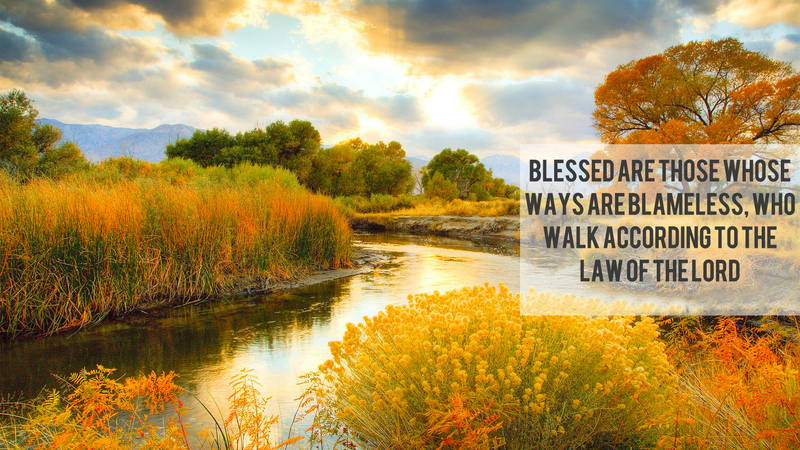 It is to walk in the law of the Lord, to walk in holiness. So pray for grace, run to the fountain of Living Water, and refuse every broken cistern that stands between you and your next step in the path of holiness unto the Lord.